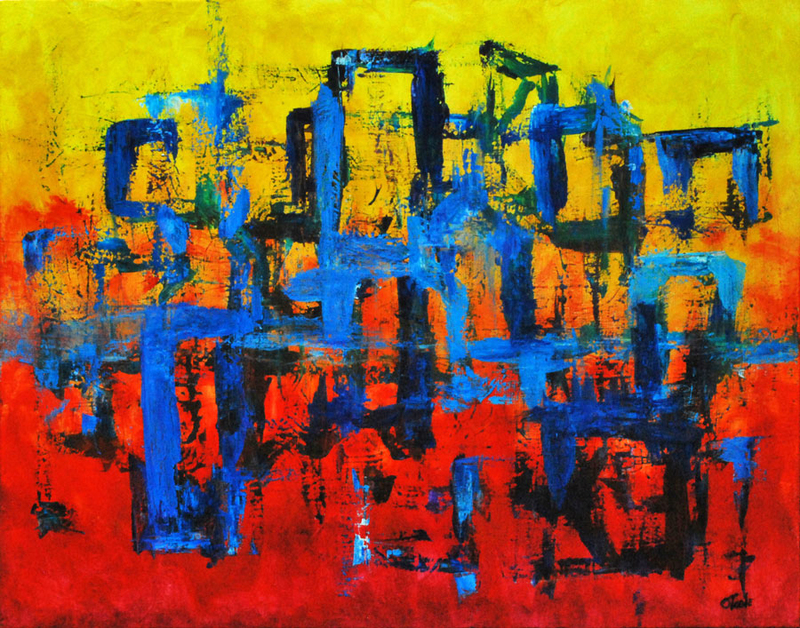 NEW DAY is a 40″ x 30″ acrylic painting on a gallery wrapped canvas. It is composed of predominantly primary colors. NEW DAY speaks to the idea suggested by the common consolatory phrase, “When God closes one door, He opens another.” Each new day is another open door; a brand new start, and a fresh beginning. Regardless of what transpired on the previous day, another better day is always possible. In fact, when I make an error or slip back into less than desirable behavior patterns, I can start my day over from any point in the current day.